I would like to express my gratitude for your assistance with translating an English presentation to Simplified Chinese last month. Given that our timeframe was very tight, and that we had never used your services before, I was somewhat anxious that we would not make our deadline (other companies that I contacted said they would be unable to turnaround the translation with such short notice). 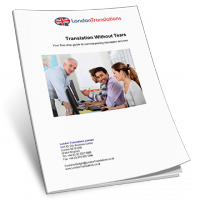 I can honestly say that your quick delivery and frequent communication, via telephone/ email, assured me that you would not fail to provide us with the translated text on time. 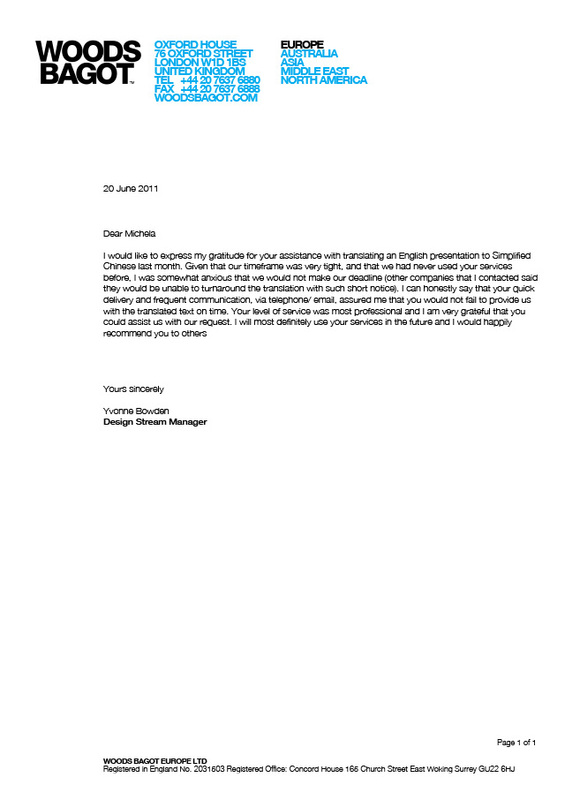 Your level of service was most professional and I am very grateful that you could assist us with our request. I will most definitely use your services in the future and I would happily recommend you to others.